Shaun of the Dead Funko Pop Vinyls | Nerd Much? 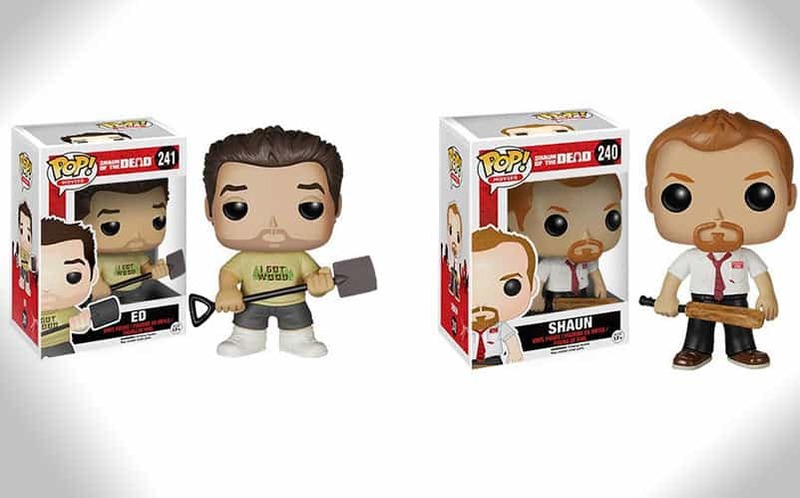 It’s not secret that we here at Nerd Much love all things zombies, and we all know that the unsung heroes of the zombie apocalypse are Shaun and Ed from Shaun of the Dead, so when these Funko Pop Vinyls came across our desk, we just had to share them with our readers. We’ve seen some great Funko Pop toys already this year, but we’re thinking that the Shaun of the Dead Funko Pop vinyls are our next additions to our shelf of cool movie stuff. The figures feature the duo with weapons, with Ed holding a garden shovel and Shaun ready with his trusty cricket bat. They stand at 3 3/4 inches tall, and you can buy them as a pair or separately. So before you head over to the Winchester for a cold pint to wait for it all to blow over, you can pick these little guys up for your collection.